Ascot is an established and well- respected luxury home neighborhood in Irmo, SC and has been recognized as one of the best neighborhoods in Columbia SC by "Columbia Metropolitan Magazine". 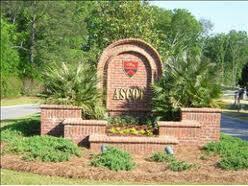 Ascot is the premier address for Irmo, SC homes for sale. Just minutes away from I-26, the Ascot neighborhood is conveniently located with two entrances just off of Kennerly road and Hollingshed Road. Ascot is a neighborhood that offers many different options from luxury patio style homes, to single family homes, to executive estates on large lots. Homes in this Irmo, SC neighborhood range from the 330's and up. Ascot has many different sections that include the following: Ascot Estates, Ascot Ridge, Ascot Place, Ascot Glen and The Courtyards at Ascot Ridge. If you are looking for a neighborhood with larger homes for your family in a safe and respected environment with a close attention to detail, Ascot is the neighborhood for you! You will find many choices that will not only meet, but exceed your housing needs and expectations. The houses in the Ascot community vary in style, from Brick to Stucco, and start at a spacious 2700 square feet. These Ascot community homes offer upgraded details such as hardwood floors, 10’ ceilings, 8’ doors, and executive trim packages. In addition to interior upgrades, the majority of these homes start at .50 acre lots and have fantastic landscaping! Because every home in Ascot is unique, you are sure to find one that fits your style. Ascot has excellent amenities that include a community pool, clubhouse, playground, tennis courts, walking trails, fishing ponds, and The Irish Oaks Equestrian Center. The Arbor Oaks Subdivision does have a homeowners association with the annual fees including all maintenance for the common areas and amenities. Ascot is currently zoned for Lexington/Richland 5 Schools, which include the following schools: River Springs Elementary, Cross Roads Intermediate, Dutch Fork Middle, and Dutch High School. In addition to award winning schools, the Ascot subdivision in Irmo, SC is close to a variety in Shopping, Dining, and Recreation including the Ballentine Market, Irmo Village Shopping Center, and Columbia’s premier mall, the Columbiana Center. For those who love the outdoors, Lake Murray and Harbison State Forest are only a few minutes away. Ascot in Irmo has every convenience that you could hope for! This neighborhood is located only 16 miles from downtown Columbia, South Carolina's beautiful State Capital. The Columbia Riverbanks Zoo is also just minutes away via I-26. The nearest hospital, Lexington Medical Center – Irmo, is only 7 miles away.